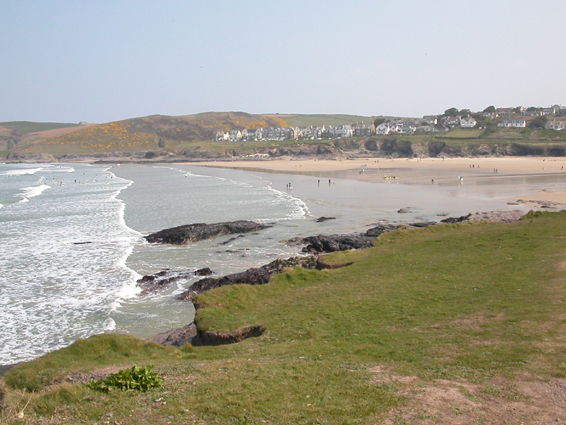 Looking across the beach at Polzeath, North Cornwall. Wonderful wide sandy beach which expands incredibly when the tide goes out to reveal rock pools. Favourite haunt of surfers throughout the year. The beach where Sarah Ferguson spent seaside holidays as a child.